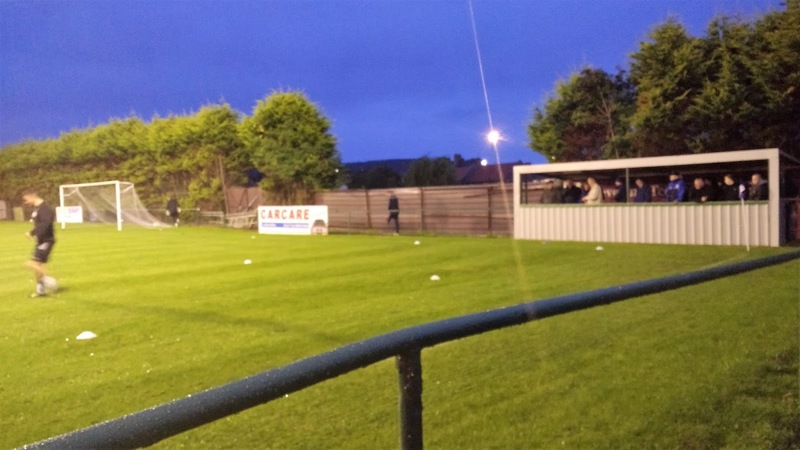 The club was formed in 1956 and for the first 30 years of their history played in local leagues, including the Teeside League. In 1985 they joined the Wearside League and enjoyed a great deal of success, with their lowest finish being 8th. During their time here, they were champions once and runners-up three times. It was after the last of these when they finished as runners-up to Boldon CA in 1996 that they were promoted to the Northern League. In their first season, they finished 3rd behind Chester-Le-Street Town & West Auckland Town to earn promotion from Division 2 to Division 1. They'd remain in the top tier from 1998 until 2004 when they were relegated. It would take them until 2011, when they earned promotion back up after another third placed finish, this time behind Newton Aycliffe & Guisborough Town. 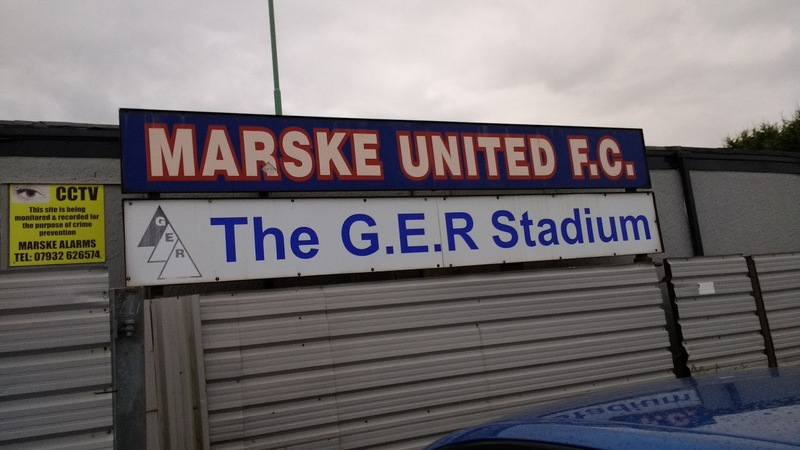 Marske United remain in Division 1 to this day, even lifting the league title in 2015 and enjoying 2nd and 5th placed finishes since. 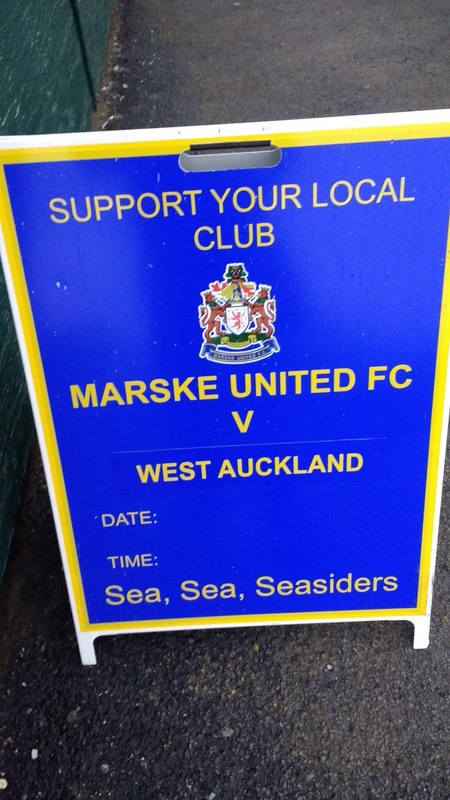 Before tonight's game, they were sat in 5th place, with opponents West Auckland in 2nd place. Marske United's best progress in the FA Cup ca,e in the 2013/14 season. That year they beat fellow Northern League sides Consett and Hebburn in the Preliminary Rounds. Albion Sports were then defeated 3-0 in the 1st Qualifying Round. Marske then faced a couple of NPL sides in Frickley Athletic and Halesowen Town, tests which they passed with flying colours. 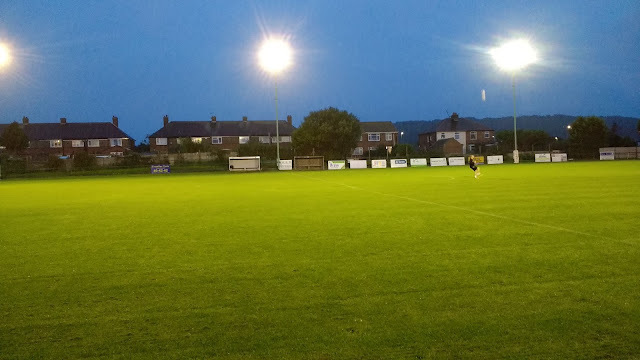 The 4th Qualifying Round presented them with a trip to Conference side Southport and it was a bridge too far as they lost 6-2 and missed out on a game against Sheffield Wednesday in the next round. Like a lot of Northern League clubs, they have a good record in the FA Vase and have reached two quarter finals. 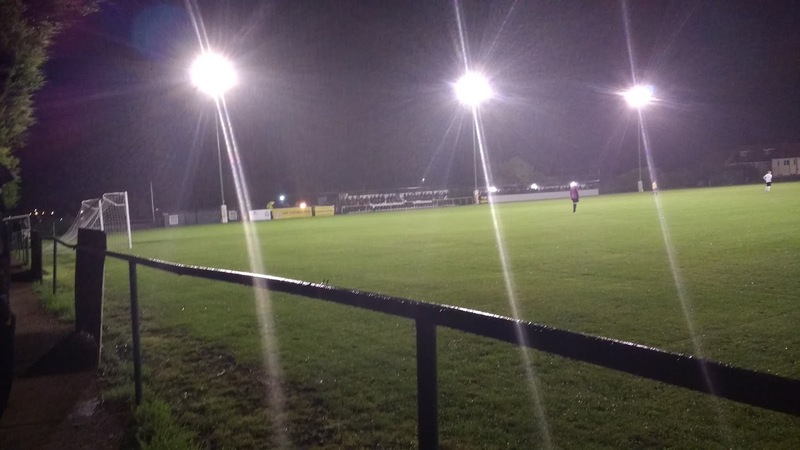 In 2001, they too fellow Northern League side Bedlington Terriers to a replay before losing 4-0. Then in 2009, they went out at the Quarter Final stage again, this time losing 5-2 at Glossop North End. Local honours include the Northern League Cup in 2013, with them beating Whitley Bay at Newcastle's St James' Park. They also won the Wearside League Cup and North Riding Senior Cup in 1995 and the Willie Maddren Trophy in 2009. 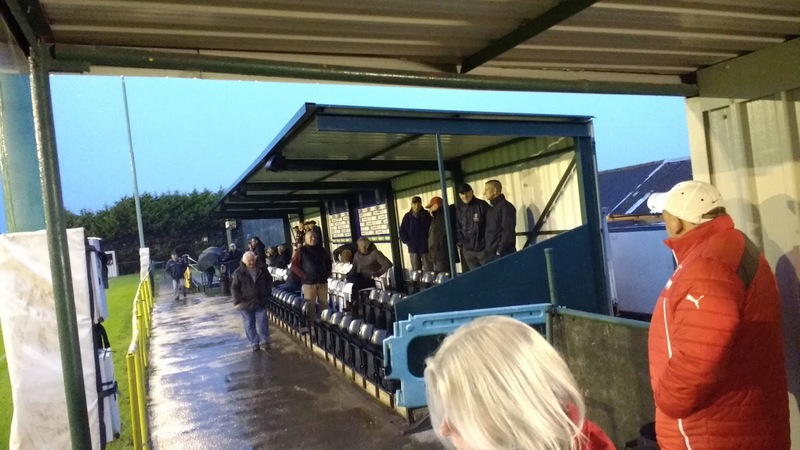 Their record attendance of 1,489 came against Darlington came in February 2013. 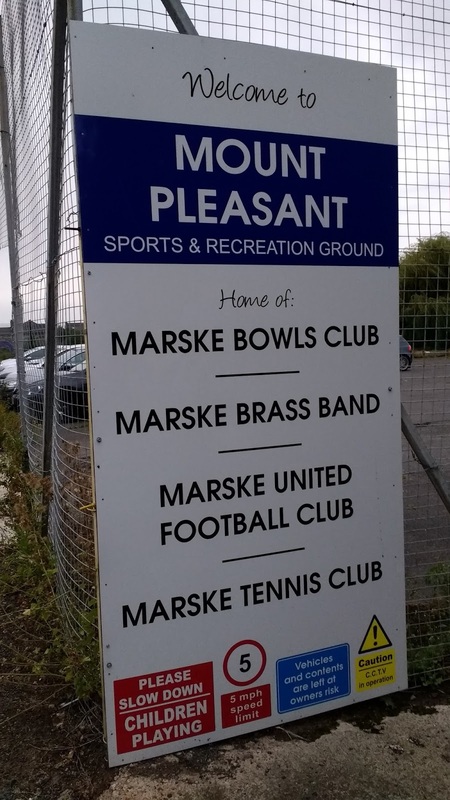 The club are based in Marske-By-The-Sea which is near Redcar. Famous people from the village include former Middlesborough player Robbie Stockdale whilst Charles Dickens visited the town in 1844 to visit the grave of Captain Cook's father. I only decided to go to this game the night before. The previous day I'd come back from a trip to Belgium and had no idea what I'd be doing the following day. 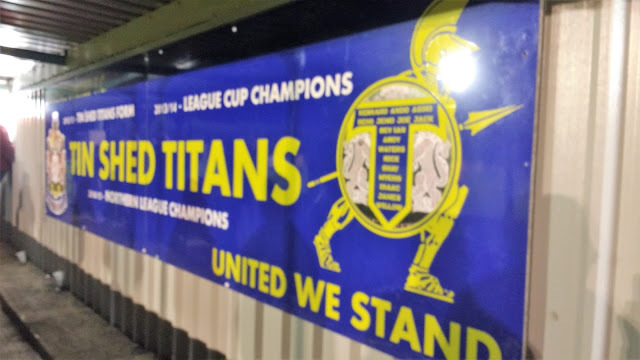 The original plan was for a revisit to Mansfield for the Wycombe game, but with the Independent Supporters Club not running a coach, and accommodation there costing a minimum of £45 a night, I decided against it. I'd already decided that I fancied a north-east double on Wednesday. Darlington was a long-time target as I'd tried to visit there back in March, only for it to be rained off. There were also some youth games in the afternoon, with a new tick at South Shields available, As they got big crowds for their first team games, it would be a nice opportunity to get a proper look around the ground. I looked at various options for hotels and although some were cheap, they got some poor reviews on TripAdvisor. I finally found one in Redcar, with good reviews and a cost of £25 a night. 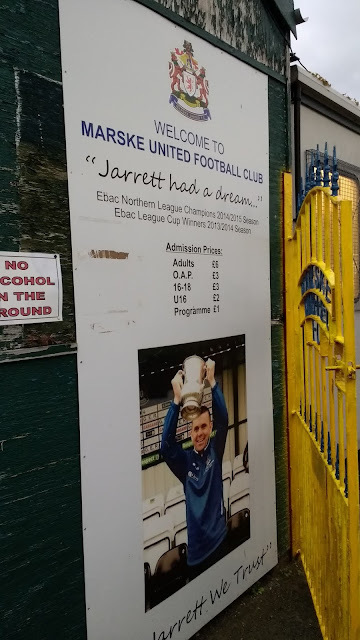 I checked and Marske United was 3.5 miles away, so I decided I'd probably walk to the game, and if not use public transport. The previous evening was a busy one. As well as making plans for my upcoming trip, I had 4 blogs to complete from my Belgian adventure. I also wanted to get to know a bit about Marske United before visiting them. As a result, it was another fairly late night, with me getting to sleep around 11.30. I was glad to get a good night's sleep, waking up jsut after 8.30 the next morning and it was nice to be back in my own bed. I'd spotted another game on Tuesday afternoon - Manchester United v Basel in the U23 Champions League, but it was too late to make a change of plan. Before I left I had to go down to Wycombe and return a faulty camera to cash converters, which thankfully went without a hitch. I then picked up some Irn Bru from Poundworld as well as filling up with diesel. I left Morrisons at 11 and did the journey in one hit, with me getting to Redcar around 3.20. 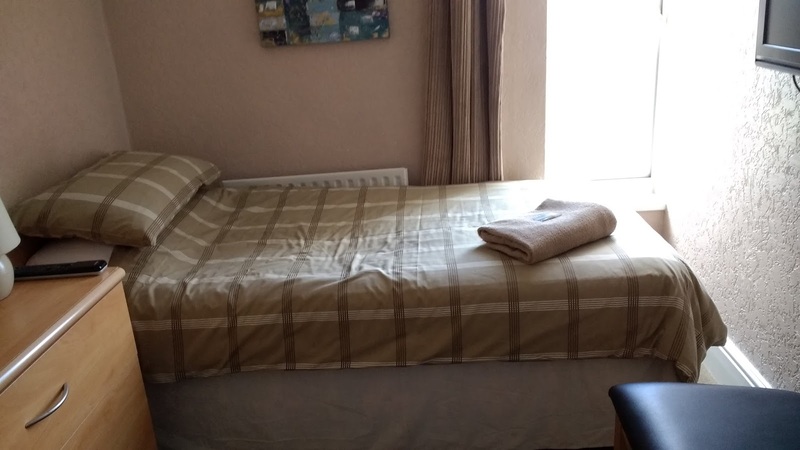 I checked in to my room which was nice and clean and fairly well furnished if a little small. I relaxed for a while, catching up online and typing some of my blog before leaving my room at 4. I walked into Redcar which seemed a pleasant enough little town and popped into their local cash converters. There was a camera that was tempting, but it was exactly the same as my old one that I replaced for being too big. 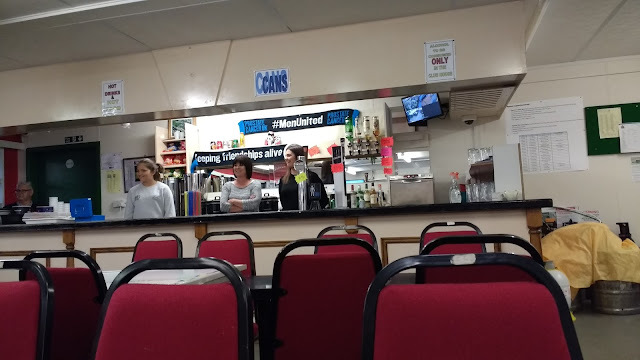 After a look round a few more shops, I went to the local Wetherspoons, The Plimsoll Line where I had a state dog and chips as I hadn't eaten since leaving Wycombe. Hunger satisfied for the moment, I made my way to The Gypsy Rover Micro Pub. It was great and I got to try a new cider that was exclusive to them and very nice. After that it was a pint of Lilleys Rum cider (another new one) before I made my way to the station. I'd decided to take the train as rain was scheduled and with a chill in the air, I was regretting not going back to get my coat. Redcar Central looked a bit desolate with nowhere to buy tickets, though at least I was on my train at 6.10. I bought my ticket on the train, a reasonable £2.50 return. Marske station was reached within 10 minutes. 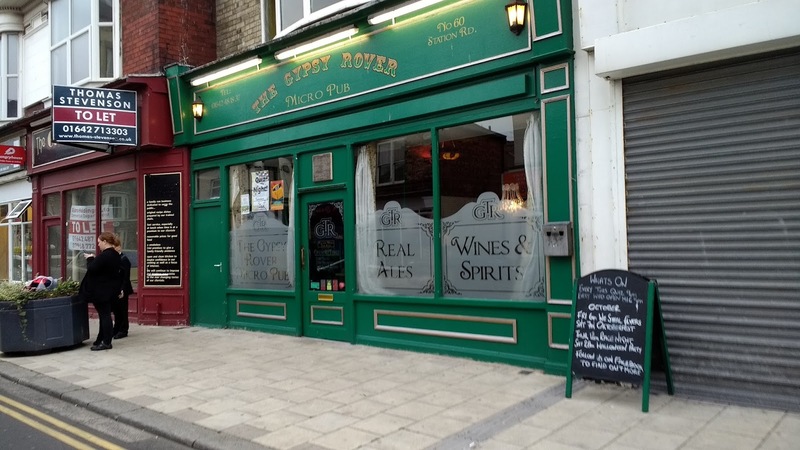 I walked past the ground on the way to my pre match pub of The Frigate where I had a pint of Lilleys Cheeky Pig. At 7.5% it helped relax me for the game ahead. Happily, the pub also had free WiFi, useful, seeing as my mobile signal was poor. I got to the ground at 6.50, paying £1 for a decent programme, before going in the bar for a £2 can of Strongbow. I paid my £6 to get in, by now the rain had started coming down. 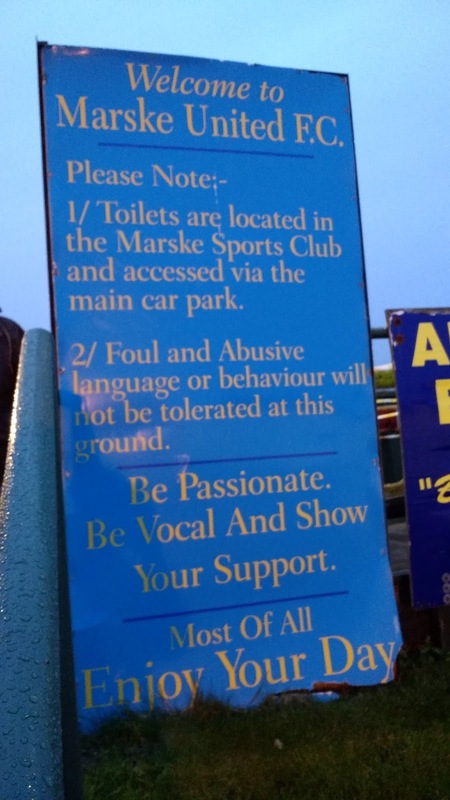 I took shelter in the tin shed but was disappointed to see that Marske had replaced their attractive stand with a standard 'arena' type unit. Amar Purewal was a player I recognized from Blyth Spartans and he opened the scoring on 12 minutes when he tucked home a cross from the right. On 18 minutes it was all square. 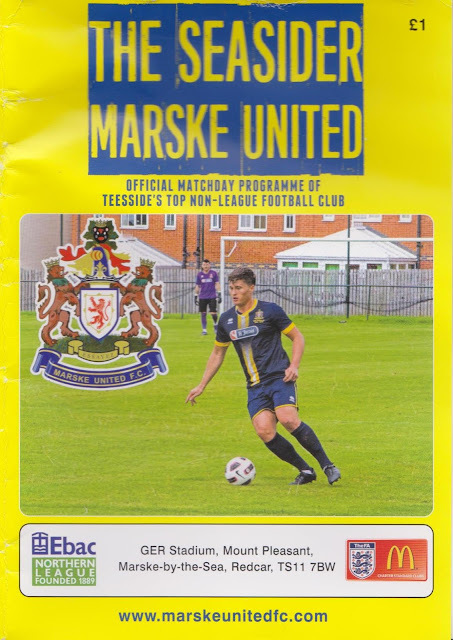 Marske were awarded a free kick 20 yards from goal and whilst Craig Gott's effort was parried, Danny Earl followed up from a few yards out. 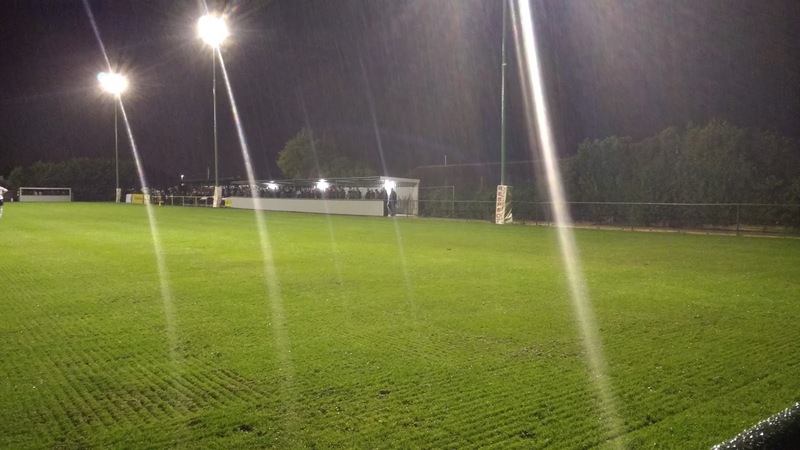 Thanks to the rainy conditions there were not many chances and it was 1-1 at half time. I went back to the bar and got a half time bovril and hotdog for the excellent price of £2.50. I wanted to get some pictures of the ground at some point and with the rain reduced to drizzle by now, I took my chance. The second half started slowly but West Auckland were back ahead on 53 minutes. It was Purewal again, this time he got clear of the defence before lobbing home keeper Robert Dean. This really opened the game up and with chances for both sides, the best of them falling to Marske, the hosts can consider themselves unlucky not to be level. 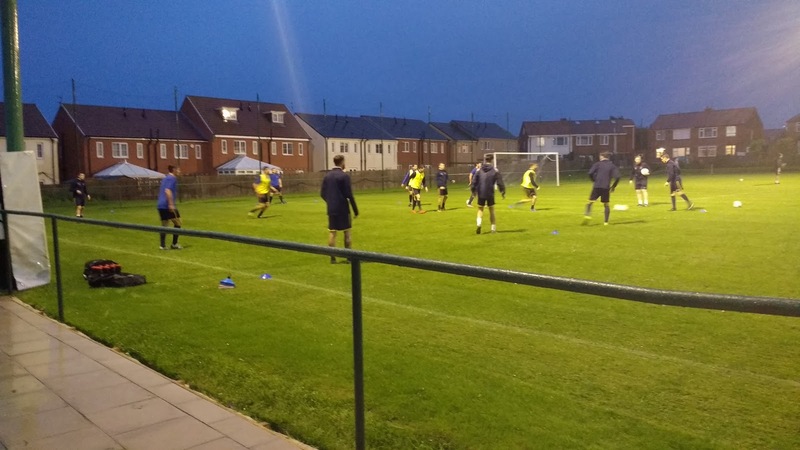 However, it was West Auckland who got the decisive goal through Nathan Fisher around five minutes from time, making it 3-1 on the night. After the game, I made my way back to the station or at least tried to. Thanks to a dreadful signal, at least for data, I was unable to check train times or even find the station on Google Maps. Thankfully, I recognized a pub from near the station and took shelter whilst I used their WiFi. I was absolutely drenched by now and with 40 minutes until my train, I had a pint of Strongbow Dark Fruits at the very expensive price of £3.90. I made the pint last, before making my way to the station around 10 minutes before my train was due. It was a couple of minutes late, but I was glad to be on it. I got back to Redcar just before 11 and discovered that I'd lost my coin pouch and possibly a note along the way. After going to a cash machine to top up, I went to a local takeaway, Parmesan House as I was hungry again. I had a Mexicano Wrap with chips for £4.50 which was good value and very nice. I got back to my room around 11.15, watching a YouTube videos for 10 minutes before going to sleep. The GER STADIUM is fairly near the train station and has a range of takeaways and pubs nearby. 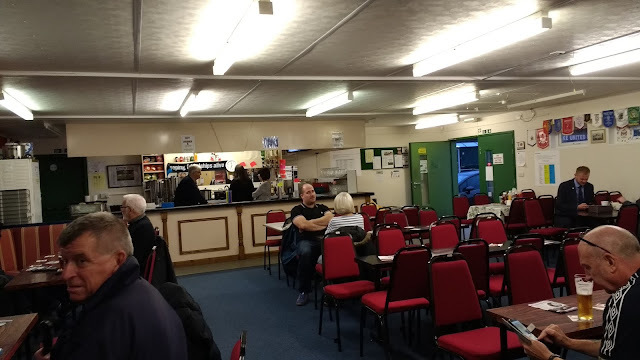 Back at the ground, there is a basic bar which sells cans at £2 a pop. There is also food available and this too is good value. The entrance to the ground is fairly attractive, with a gate in the club colours. Inside the ground are a few areas of cover - the 'Tin Shed' which holds around 200 standing fans and another smaller area behind the goal for around 50 standing fans. As for seats, the club replaced their attractive old stand with a dull 'arena' style unit which seats around 150 under cover.